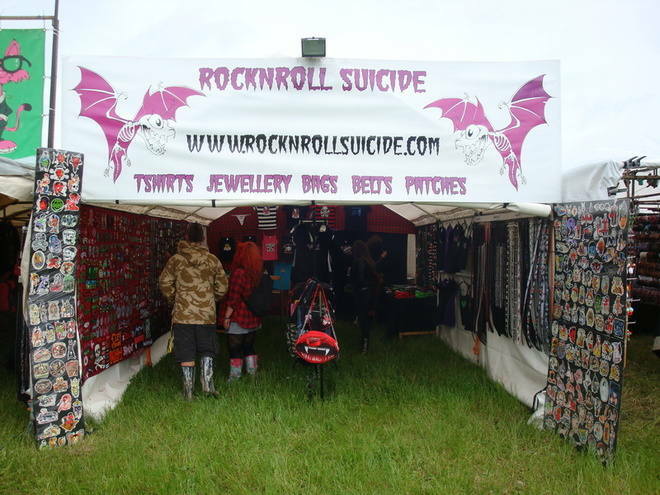 You may have seen our stall and range of products at Horror Con, Bloodstock, Download, Amplified, Hammerfest, Hard Rock Hell, Tomorrows Ghosts, Rock And Blues Custom Show, For The Love Of Horror or one of the many other events that we attend throughout the year. Check our events page where you will find information about where we will be next. If you would like to order any of our products from outside the UK please get in touch with us via our "contact us" where we will be able to give you a total price including shipping. Payment can be arranged through Paypal. We stock a vast selecton of all things horror related including extensive product ranges from Kreepsville 666 and Rock Rebel. Amongst the other products that we have for sale we have our own exclusive range of t-shirts, these are only available from us at events or from this website. If you have seen something on our stall at an event and you can't find it on the website please contact us as we may still have it in stock. We add new items to the website on a regular basis.